Review: How I Met Your Mother, "Subway Wars"
(S0604) We haven’t written much about The Amazing Race quite yet, but it remains a solidly entertaining hour on Sunday nights. Last night, however, How I Met Your Mother got its Race on, and it delivered bigger than any watermelon to the face ever could. This was a classic episode, and it combined so many elements that have made the show successful in the past: a silly competition that the whole gang passionately undertook; several meaningful flashbacks that added to the story and developed the characters; and just enough wit, slapstick, quirkiness, and heart to leave you with a grin. The episode begins with the group asserting that Robin (Cobie Smulders), a native Canadian, is not a true New Yorker yet. They come up with four criteria one needs to meet: you must have seen Woody Allen, stolen a cab from someone who was there first, cried without shame on the subway, and killed a cockroach with your bare hand. Robin has accomplished none of the above, but by the end of the episode she’ll have checked off three out of four. Upon hearing that Woody Allen is at a restaurant nearby, Robin wants to get there, and a discussion ensues about the quickest means to travel. 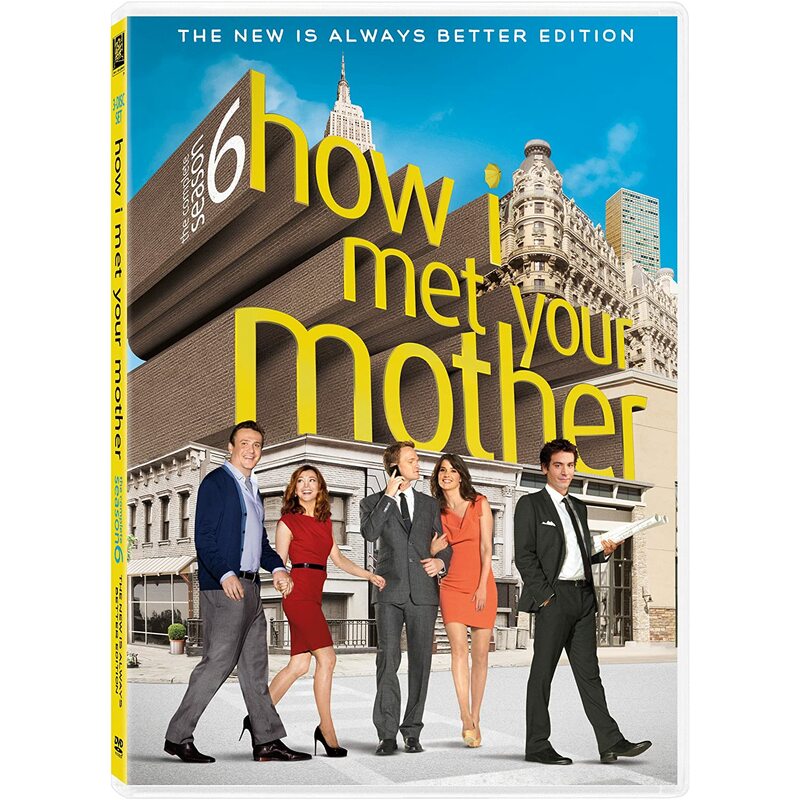 Robin plans to take a cab, Lily (Alyson Hannigan) thinks the subway is the way to go, Ted (Josh Radnor) insists that the bus will be faster for this route, and Marshall (Jason Segel) thinks he can simply run. Barney (Neil Patrick Harris) has a secret plan of his own (spoiler: it’s an ambulance) and without further ado, the race is on. What follows is a series of comic mishaps and shenanigans, reminiscent of Rat Race (a movie I love far more than I should). Along the way, their antics are interspersed with flashbacks to why they all needed a “win” that day. Robin is being overshadowed by her new co-host, Marshall and Lily are struggling to get pregnant right away, Ted got a negative review at rateyourteacher.net (sadly, not a real site), and Barney, well, Barney didn’t actually need a win at all. Sometimes their flashback attempts can feel forced and pointless, but these were utilized really well to help frame the story. In the end, Robin scores the victory with a little help from a sympathetic Barney (and perhaps the first step toward re-igniting their romance?). There may not have been as many laugh-out-loud moments as some comedies will give you, but it was a lot of fun getting to the finish line. Mother has been fairly strong so far this season, and “Subway Wars” is definitely the highlight so far. Maury Povich hilariously made an appearance in practically every scene, as part of a running gag that he's a celebrity you always run into. As neat as the race was, from a scenery standpoint it felt pretty unconvincing (as they’re obviously not really in New York). I don’t usually mind, but in a “race through the streets” episode, the patchwork fake city is a lot more noticeable. Marshall running, while a personalized folk song plays to keep him going, is just naturally hilarious. Jason Segel sells it with just the right amount of pain and inspired determination. Is Robin ever going to have any career advancement? I feel like she’s been in the same job rut for six years, but Future Ted has indicated she becomes pretty successful and travels the world. I’d like to see her catch a break (without necessarily having another “I’m moving away!” story). Lily was funnier than normal tonight, dramatically diving onto the subway (when there was in fact plenty of time) and interpreting (or possibly misinterpreting) the garbled announcements. I didn’t get my wish from last week to be totally finished with mentioning Don, as Robin broke down and cried about him again. Sigh. At least she used him to accomplish one of the New Yorker essentials. That’s all for now, kids. If you’re not a regular HIMYM viewer, this is a good one to take a look at. Let me know what you think! I'm glad to see that someone enjoyed this episode as much as I did. It's funny that Robin is so offended that the group doesn't think of her as a 'real New Yorker'. It’s even funnier how she reacts when Ted points out that she is from Canada. 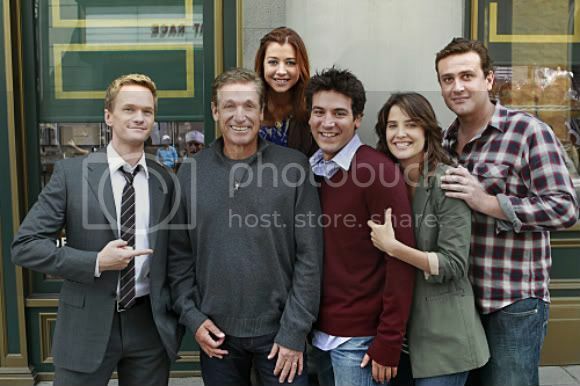 How I Met Your Mother is overall a very entertaining series; it’s no surprise that it has been so successful. I’ve watched every episode in HD thanks to my employee subscription to DISH Network. I really felt for poor Ted boring everyone to sleep, even Marshall. And I totally agree with you as far as Robin’s career goes. I figured the station she works for would be closed by now because all the lame material they have her reporting on.